Welcome to the Edmond Music Online Band and Orchestra Lease to Own program for your beginning band student. Edmond Music, Larsen Music and Gilliam Music provides band and orchestra students, high quality, brand name instruments at affordable prices. This site shows the instruments, books and accessories specific to your school that your director requests. 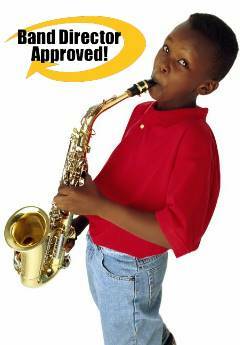 We also lease instruments for home school band and orchestra. For more information please call 405-348-0004. Select your city,school and instrument from the drop down menu, the press "Select" to navigate to the instrument page which will allow you to see the different books, accessories and options for your lease. In many instances you will also have a choice of new or like-new (pre leased) instrument. Like-new instruments have been leased before and were generally used for a very short time. These instruments are sanitized, and tested by our repair staff to insure satisfactory results when your child begins to play. Monthly payments do not include sales tax. The appropriate sales tax will be added to the total. In state leases only. If you are out of state we highly recommend your local dealer.